Carl Cox recently launched a text to donate initiative with charity music foundation Last Night A DJ Save My Life (LNADJ) in support of children in conflict zones via War Child. 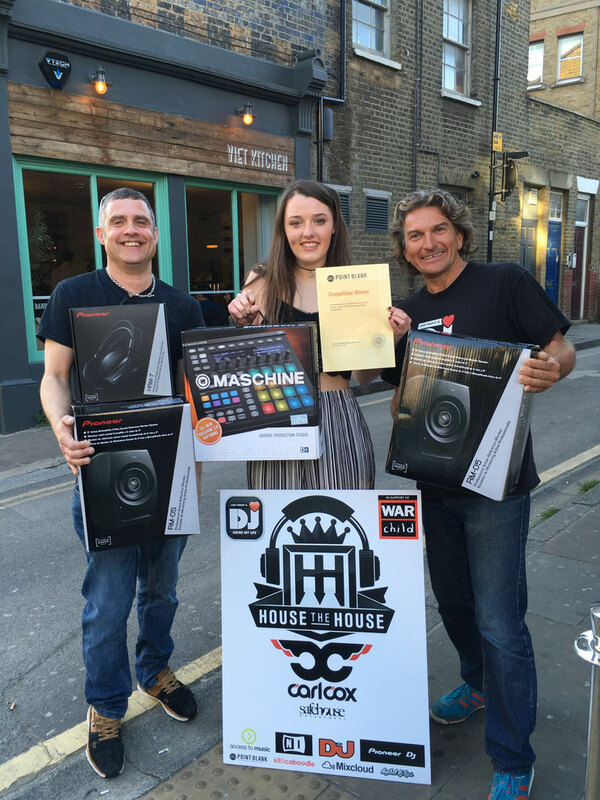 The text donation initiative is part of LNADJ’s fundraising campaign including a nationwide DJ contest, which will see winning DJ, Holly Louise, play with Carl at the House The House event at the House of Commons on 11 May. Holly will be the first female and youngest DJ to play in the House. The three-month text message donation scheme encourages supporters of Carl, LNADJ and the dance music community as a whole to give £5 by texting ‘OHYES’ to 70660. The money raised will be collected by Instagive on behalf of LNADJ Foundation who will add it to the total funds raised and given to War Child to support some of the world’s most vulnerable children, affected by the world’s worst conflicts in the Middle East, Afghanistan and Africa. 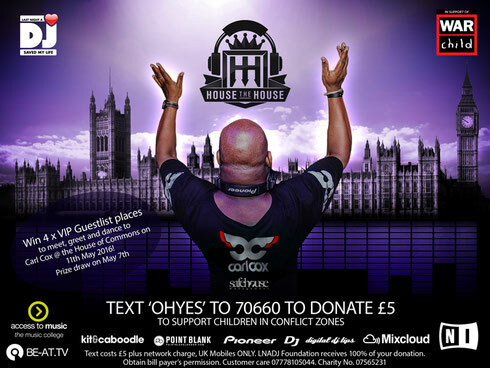 An initial prize of 4 VIP guestlist places to meet, greet and dance to Carl Cox at the House The House event at the House of Commons will be randomly selected from every donor of the scheme. The text campaign winner will be drawn on 7 May 2016. The ‘OHYES’ text to donate initiative is also offering a number of prizes up to the closing date on 7 July. The event follows the launch of ‘House the House’ in 2013, when Fatboy Slim and competition winner Bryce Fury made history by becoming the first DJs to play in the House of Commons.